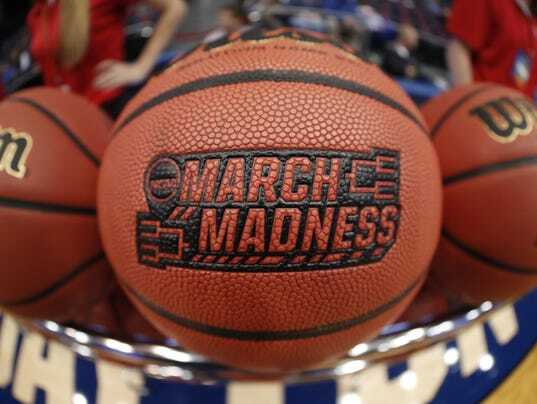 When March rolls around, there’s no doubt that basketball is the sport watched on most televisions and online at Sport.ONE. The thrill of the game is exciting for both players and spectators. However, did you know that basketball provides a plethora of health benefits for those who participate? The first major benefit that players receive from basketball is better cardiovascular health. There’s no surprise to anyone who has ever played or watched the sport that there’s a lot of running involved. Players are constantly in motion moving up and down the court. This constant movement increases heart rate and promotes better overall heart health. This constant movement overtime allows players to build up their cardiovascular endurance, which carries over to many other activities in life. Those with good cardiovascular health have shown to be at a lower risk for heart disease and stroke. Who doesn’t like to burn some of those calories off they ate earlier in the day? With basketball, you can burn off a large number of calories in a short amount of time. Thanks again to constant movement, you can turn your body into a fat burning machine. The physical demands of basketball work to not only build up muscle and bone strength but to burn excess fat in the process. It’s important to realize that muscle burns more calories than fat. So, by playing basketball, you force your muscles to physically adapt to the resistance while forcing your body to burn fat for energy. Of course, you will also need to supplement with great foods for muscle recovery. Mental strength and development are other key benefits of playing basketball. On the mental strength level, you find yourself pushing your body past where you thought you could go. When the game is on the line, you are able to break through the mental barriers. That leads to it being easier next time to push yourself to that level and beyond. Secondly, mental development takes place on the court in the respect of thinking on your feet. You can’t take your time analyzing what the opposing team is doing or what your best shot will be. You must make swift decisions, which requires a lot of mental focus. Over time, you’ll start to develop more mental focus and be able to think on your feet much quicker than ever before. Coordination is the key to staying upright and competitive in the sport of basket. You won’t find teams with poor coordination on the March Madness Bracket. In fact, they won’t be around for long. Players need to develop coordination in their bodies to effectively move down the court while dribbling the ball. This hand-eye coordination can drastically carry over to other areas of your life as well. Basketball is a great sport filled with tons of enthusiasm and hard work. Those who choose to participate in this invigorating sport will benefit in a number of different ways. These benefits will not only work to develop them into better basketball players, but they will carry over to assist them in many other areas of life as well.